Will the main parties ever come clean about their actual tax and spending plans? 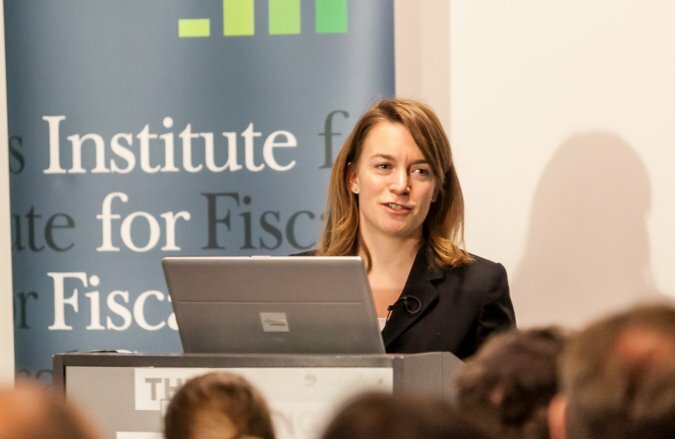 Yesterday’s election news was dominated for a time by the Institute of Fiscal Studies (an independent think tank aiming to better inform public debate on economics in order to promote the development of effective fiscal policy) releasing the latest of their increasingly irate analyses of the main political parties’ fiscal plans. They have looked at the taxation and spending commitments in the manifestos of the Conservatives, Labour, Liberal Democrats and the SNP and has concluded that “the electorate is at best armed with only an incomplete picture of what they can expect from any of these four parties”. The IFS start with a fact, which is that under the coalition borrowing (bascially the deficit – how much government spending exceeds tax revenue) has been reduced from 10.2% of GDP in 2010 to 5.0% of GDP now. This means that debt as a share of national income is 80%. So whoever forms the next government has a task to finish the job of reducing borrowing back to sustainable levels. Yet in their manifestos the IFS note that “none has managed to be completely specific about how much they want to reduce borrowing, or exactly how they would do it”. This has meant that the IFS have had to make some assumptions based on the parties’ stated aspirations and policies. The plans all imply further austerity over the next Parliament – but whilst the Conservative plans mean they need to find much more substantial spending cuts, Labour and SNP would reduce the debt much more slowly. Conservatives – Surplus of 0.2% of national income by 2018-19. Debt as share of national income 72% by 2019-20. Labour – Deficit of 1.4% of national income by 2018-19 (as they intend to only balance the current budget – which is everyday spending not including capital investment for the future) – debt as a share of national income 77% by 2019-2020. Liberal Democrats – Deficit of 1.1% by 2017-18 (a year earlier) – debt as a share of national income 75% by 2019-20. SNP – Deficit of 1.4% by 2019-2020 (a year later) – debt as a share of national income 78% by 2019-20. If this is so, then debt would be about £90 billion more in 2019-20 under Labour’s plans compared to Conservative plans. This means higher debt interest payments, and a government less well placed to deal with future adverse events. YET, the Conservatives say they want to cut borrowing the most, so it is vital they set out how they will do this. Their tax policies are actually a net giveaway of 0.1% of national income. The detail they provide on welfare would only provide a tenth of the cuts they say they want to deliver, and commitments on aid, NHS and schools would actually increase spending on these areas by 0.3% of national income. They say they want to raise 0.2% of national income (£5bn) from clamping down on tax avoidance, further cuts to benefits (unspecified) would bring in 0.5% of national income (£10bn) and they will also cut ‘unprotected’ departmental spending by £30bn – but didn’t feel it necessary to include this in their manifesto. Even if they find all the cuts they promise and the tax avoidance clampdown gets the revenue they promise they would have to cut total departmental spending by 7.1% by 2018-19. As they have ringfenced NHS, Education and Aid this means cuts of 17.9% to departments like defence, transport, law and order and social care. This would add up to cuts in these other departments of 32.8% since they came into Downing Street. Just think about that in terms of the loss of jobs and quality of public services. The difference between Conservatives and Labour according to the IFS is that whilst Labour are far more clear about how they would achieve deficit reduction, they are less clear about what level of deficit reduction they want to achieve. Remember, saying the deficit would fall every year could just mean cutting it by £1. Their stated commitments to protect public services are similar to the Conservatives. Although they haven’t committed to increase spending on the NHS by the same amount as the Tories they are likely still to do so in reality – but cuts to ‘unprotected’ departments will still be required. However, they can be relatively smaller to achieve a balance on the current budget by 2018-19. They have been very vague about the extent to which they want a “surplus on the current budget”. They need to be less vague. Consistent with their entire electiion strategy, the Lib Dems are aiming for equidistance in terms of belt tightening between Labour and Conservative plans. They are relying on unspecified tax avoidance measures to find £7bn and unspecified welfare cuts of £2bn. They have at least specified the £12bn of departmental cuts required in their manifesto – which will involve 9% cuts outside the protected areas of the NHS, Education and Aid. But the key is their claim to be able to get twice as much money from clamping down on tax avoidance as the Conservatives, ad a third more than Labour. Given they haven’t specified how they will do this, more information is needed. As for the SNP – whilst they will reduce borrowing by the same amount over the next Parliament as Labour, it will be slower. They would cut less to start with but this means that the period of austerity required to achieve their aims will be longer than under the other three parties. Tax takeaways are offset by tax giveaways and they are increasing welfare generosity. This means that whilst departmental spending overall will not be cut at all in the next Parliament they cannot achieve their aim without cutting departmental spending outside their protected areas of NHS and Aid by 4.3%. It would be interesting to see how many members of the public realise that the stated plans in the SNP manifesto do not actually match their anti-austerity rhetoric. The key point the IFS wants to make is that the parties have to be a lot more open with the public than they are. The IFS are the latest in a long line of election commentators that have said that. The proof of the pudding will be after the election, when the concept of electoral mandate and manifesto will be sorely tested. I suspect the parties, knowing that there will be a hung Parliament, are saying whatever they can to get the most votes, in the knowledge that inconveniences can be jettisoned in the government negotiations.